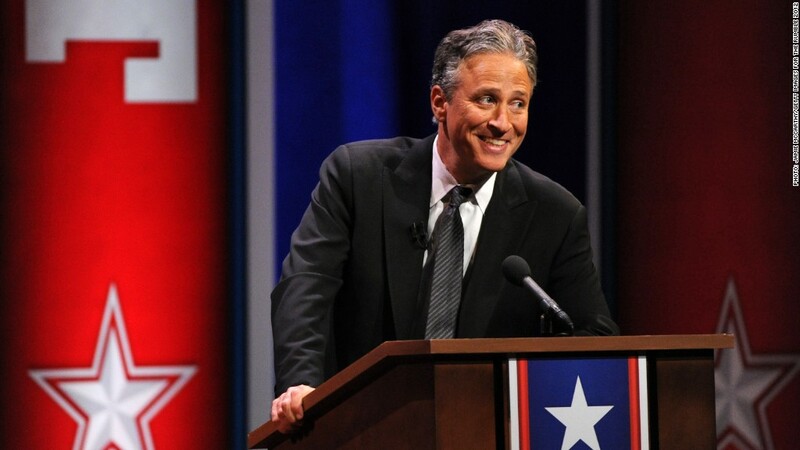 Jon Stewart the new Cronkite? Opinion: Jon Stewart the new Cronkite? David Bianculli is founder and editor of TVWorthWatching.com and teaches TV and film at Rowan University in New Jersey. He also is TV critic and guest host for NPR's "Fresh Air with Terry Gross." The opinions expressed in this commentary are those of the author. If NBC indeed offered Comedy Central Daily Show star Jon Stewart the hosting job on its venerable Meet the Press public affairs interview show, as New York magazine has reported, it was smart of NBC to try -- and even smarter for Stewart to decline the offer. But according to my own unofficial focus group of young viewers, the idea of seeing Stewart as an esteemed network inquisitor makes perfect sense. To them, he already occupies that position, and quite comfortably. In addition to being a TV critic, I teach television and film history at New Jersey's Rowan University -- and when I'm not giving information to my classes, I extract it from them, asking what they're watching, and on what devices, and who demands and deserves their attention and loyalty. In one TV history class, as part of a multi-week session covering the radio and television reports of pioneering CBS newsman Edward R. Murrow, students see him challenging the manipulative tactics of Communist-hunting Sen. Joseph McCarthy on See It Now in 1954, and exposing the pitiable plight of migrant workers in 1960's Harvest of Shame. In another TV history class, covering a later period, they watch as another respected CBS News figure, anchorman Walter Cronkite, delivers a highly controversial 1968 prime-time special in which he concludes that the Vietnam War is, in essence, unwinnable by U.S. forces, and we should withdraw with honor. In both those classes this year, I concluded by asking the students to identify any media figure, in this generation and this decade, who could command in them the same sort of respect, bravery and gravitas -- who could speak out against power, expose weaknesses in newsmakers and in politics, and inspire them to consider and maybe even act upon what they see and hear. In both cases, the answer was overwhelmingly the same: Jon Stewart. Jon Stewart--who works for a comedy network, not a news organization. But this apparent inconsistency -- trusting analysis of the news, and some sort of moral compass, to a person whose career goal is to elicit laughter -- is more than just the misplaced idolatry of today's young adults. Looking at Stewart -- and his video kinsmen, Stephen Colbert, John Oliver, and (soon to be more prominent) Larry Wilmore -- and seeing in them the modern descendants of a Cronkite or a Murrow, that's neither a youth-only phenomenon nor a recent one. In 2003, the Television Critics Association awarded Stewart two well-deserved comedy awards for The Daily Show. The following year, a decade ago, it honored him with another award -- this one for Outstanding Achievement in News and Information, beating out such very serious fellow nominees as CBS's 60 Minutes, PBS's Frontline and ABC's Nightline. The other News and Information nominee Stewart and The Daily Show beat that year? NBC's Meet the Press. It's not that far a reach, so I applaud my students when they get their news, at least part of it, from Comedy Central's The Daily Show and The Colbert Report, and HBO's Last Week Tonight with John Oliver and Real Time with Bill Maher. One of the Stewart team's most effective comedy tactics on The Daily Show, digging through video archives to put old clips in fresh contexts and hold people accountable for their individual sound bites and histories, is something former Meet the Press host Tim Russert used to do with equal relish. He wasn't after laughs, but was in pursuit of perspective of the public record -- and the truth. This isn't new, by any means. In the Sixties, NBC employed the now-common network practice of adapting "formats" from shows from other countries, and presented its own topical-comedy version of That Was the Week That Was, BBC's satirical sketch program. If anyone came out of that American version, series embraced as a speaker of current-events comic wisdom, it was the behind-the-scenes composer of the featured songs: Tom Lehrer, the brilliant composer of "National Brotherhood Week," "Pollution" and others. Stewart is funny enough to hit those sorts of comedy bullseyes, yet passionate and involved enough to vent and personify actual outrage at certain topics, for example the treatment of returning war veterans, and the callousness of banking institutions during the Wall Street meltdown. When he does this, whether in interviews with guests or as fiery codas to his comic "news" pieces, he's channeling the ghost of Ed Murrow challenging Joe McCarthy, and "Uncle Walter" taking on the Lyndon Johnson administration's position on Vietnam. Young viewers are getting political perspective from Stewart, as well as invaluable insights about how the media work, and when they don't. In my view, he is the best, most effective TV critic working on television -- deconstructing the medium and its foibles and excesses -- since another comedian, Ernie Kovacs, did it in more than half a century ago. More than half a century ago, by the way, is when Meet the Press premiered. It was launched by NBC in 1947, making it the longest-running, still-running program on all of television. Chuck Todd, its newly appointed host, is a good heir to that throne -- and more suited to the job than Stewart. Stewart, on that Sunday-morning broadcast platform, would be deprived some of the greatest weapons in his arsenal. He'd also be deprived much of his current audience, because it's hard to imagine that even his loyal young Daily Show fans would follow him to Meet the Press, especially to watch the broadcast, live, on a Sunday morning. I know, because my 125 or so students told me so.